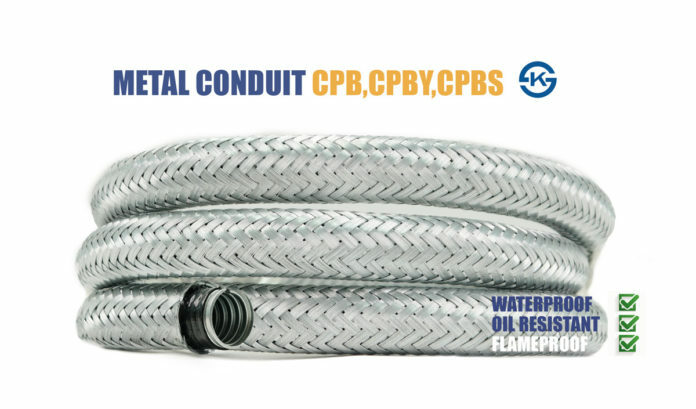 Strengthened type of type KCP flexible conduits:longer life:double sheathing of vinyl sheathing and galvanized steel wire braiding:the same connectors as Type KCP flexible conduits. Wound metal conduits with engaged profile made of high grad zinced steel strip, with yarn seal, with vinly sheathing and garvanized steel wire braiding(stainless steel wire braiding by special order). The same as Type KCP flexible connectors.